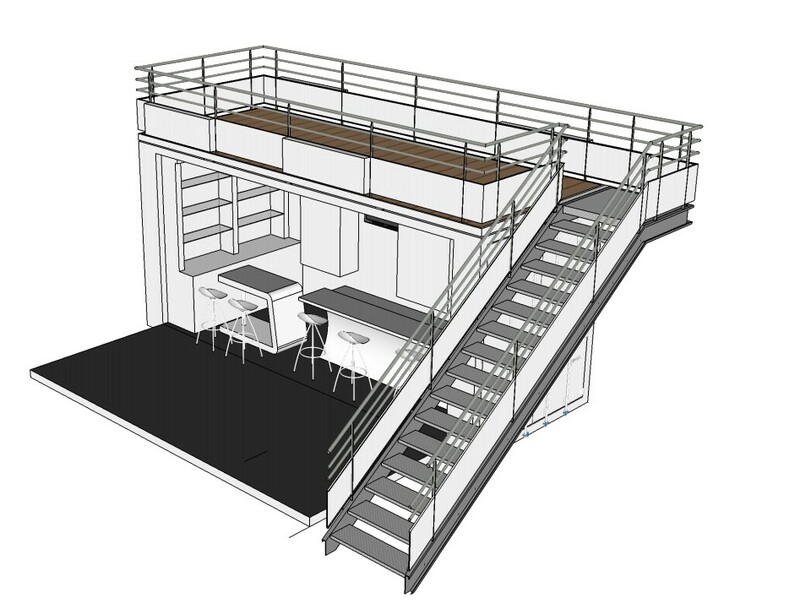 Create a trendy café, funky salon, vibrant wine bar or stylish store with a 20ft Pop Up Container Store! This concept appealed to the Stabond pop up container store, thanks to its many advantages: an original high-end product which is easy to handle, practical and welcoming. Furthermore, the trade show container features allowing to gain a 15 m2 surface and especially to create a “VIP” space to welcome their customers in a peaceful and intimate atmosphere. The principle of Plug and Play has seduced many! The container opens and closes within 60 seconds and can optionally feature a receptive place on the roof. 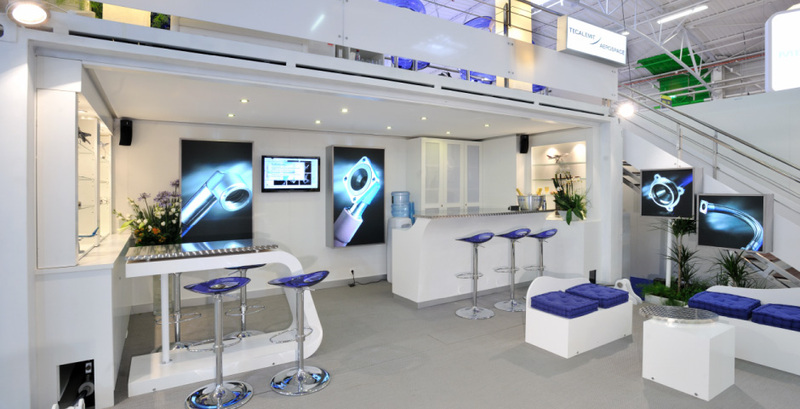 Pop-Up Container Trade Show Booth offers one side open platform in trade fairs and other exhibition venues. Elaborated by our designers and our technical teams, this decoration allies avant-gardism and practicality. Thanks to its closure on jacks and its multiple layout possibilities in the colors of your company (signalling system, furniture), displaying will no longer be synonymous with constraint rather with simplicity, responsiveness and economy. Its wall-mounted arrangement makes this concept practical and ideal for stands in reassembly. Mezzanine in teck, staircase and bodyguards in stainless steel and teak. 1 bar, 2 display cabinets, space for discussion, cupboards for arrangements, briefcases, lighting boxes for logo and communication, 2 plasma screens, 2 DVD / DIVX / USB readers, audio Bose system, Nespresso coffee machine, refrigerator, water fountain, flower arranging, furniture according to your preferences.